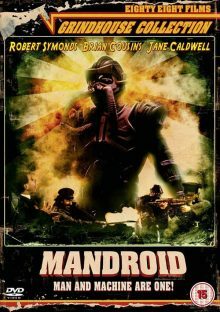 I normally judge how much I’m going to like an old B-Movie by its title, and when I first heard Mandroid I thought it was ridiculous enough to be a great film. However, after I watched the movie and thought about it, Mandroid is actually just a lazy pun that doesn’t make much sense and Mandroid is quite a lazy film that doesn’t make much sense. Set in a bleak Eastern Europe, Dr Drago and Dr Miller have created the titular Mandroid – a humanoid machine that can be controlled remotely to do anything its controller does. When American CIA agent Joe and scientist Wade arrive with intentions of buying the Mandroid, Miller wants it to be used for medicine while the fantastically creepy Drago wants to create the ultimate military machine. 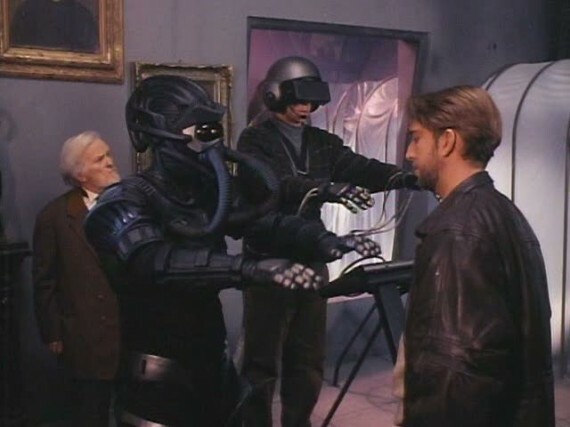 Surprisingly, this is the main conflict of the film – a back and forth between Drago and Miller trying to keep control over the Mandroid, rather than the Mandroid against an enemy. That’s not to say that this conflict isn’t entertaining. After an attempt to steal the Mandroid, Drago has acid sprayed in his face and becomes a grotesquely disfigured villain, vowing to have his revenge and create an army of Mandroids. Unfortunately, after this extremely enticing set-up, not much is really delivered on. During the middle section of the film, the pace is slower than Mandroid’s painfully slow walking speed. The actor’s seem completely bored by this point; most of them have even given up on their awful accents. This is due to a completely unnecessary sub-plot that makes no sense until the end of the movie when you realise it’s all just set up for a sequel. It has no relevance to this movie at all. However, the pace does pick up again for the finale where we finally get to see the Mandroid in action. The Mandroid itself doesn’t really justify its existence in the film, the two doctors could be fighting over any technology and it would pretty much be the same film. It was only invented to create the super-toxic ‘Superconn’ (which was invented to power the Mandroid) – which begs the question of which came first and why does either need to exist? However, the design of the Mandroid is brilliantly ‘low-budget’. It looks great and naturally doesn’t make any scientific or logical sense – why does this robot have breathing tubes in its mask? Miller and Drago give some solid performances throughout, convincingly playing the opposite sides of the ‘mad scientist’ role. 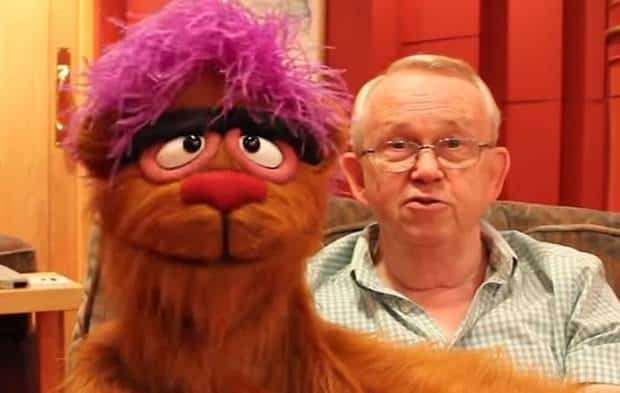 Apart from these two, however, the acting is mind-numbing. A combination of a poor script and bored actors are to blame. Instead of actually putting any personality in these characters, they are just filled with annoying clichés. For example, American scientist Wade chews gum to get over his smoking habit, and my god does he chew that gum. He flaps his jaw as over the top as humanly possible, distracting from anything else on screen. All of their interactions with each other make it seem like none of these actors have ever spoken to another human being before. Then again, great acting is the opposite of what I look for in these films. Mandroid set-up so many exciting things at the beginning that it couldn’t deliver on, so I ended up being disappointed but it’s still worth checking out for the great moments it does have, if you’re willing to suffer through its flaws. Mandroid is out now on DVD in the UK, released by 88 Films.